In March last year, Apple bought the digital magazine service, Texture. Texture’s business model was relatively straightforward – users paid a flat monthly fee of $9.99 for access to around 200 magazines. Texture placed a layer of editorial on top of things, highlighting specific articles that you might not have otherwise discovered. Initially, the business had been a joint venture from some of the biggest US publishers including Condé Nast and Hearst, and that brought with it access to a wide range of titles, including many quality ones like The New Yorker, Vanity Fair, Fortune and Esquire. Apple sat on its purchase for a year, developing it in the background. Notably, we stopped hearing so many podcast ads for the service. Then last week, as part of a wider “services” launch event, Apple News+ was unveiled. This essentially rebrands Texture as a subscription layer to the existing Apple News product that comes pre-installed on every iOS device. Apple is trying to develop slightly less reliance on device sales, and the new app forms part of that strategy, forming one aspect of the services that Apple offers that should bring continuing revenue streams. For the launch of Apple News+, Apple wanted to offer more than Texture had available before it. So there are additional titles included in the mix, not least some newspaper titles. One of the big discussion points in the media world has been the revenue split that Apple is offering. Terms haven’t been made public, but it’s widely understood that Apple is taking 50% of all subscription revenues, and is then sharing the remaining 50% of revenue with publishers based on engagement. But 50% is an incredibly high share. The standard share that Apple takes in its app store is 30%, falling to a lower rate over time for ongoing subscriptions. Even at that rate, companies like Netflix and Spotify have vociferously complained that it’s too high, and neither allow their members to subscribe via their Apple apps. Instead, new subscribers must visit their respective websites – well outside Apple’s payment systems. 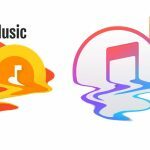 Meanwhile, for music subscription services like Apple Music, the revenue split is perhaps closer to 20% for Apple, with 80% going to the rights holders. With newspapers and magazines laying off journalists or closing down altogether, many in the sector believe that it’s outrageous that Apple should keep such a massive share of subscription revenues. It’s therefore not surprising that two key titles in the US have chosen not to go into the app. It’s understood that Apple badly wanted either The New York Times or The Washington Post to come into their app. As Vanity Fair reports, neither chose to do so despite Apple putting enormous efforts into persuading them. Both have built very impressive digital followings, and don’t see the need to lose that direct connection with readers or to risk those revenues which they are in control of. Instead, the key title Apple has got is perhaps The Wall St Journal. On the surface, a $10 a month Apple News+ subscription is significantly cheaper than even the best offer that you can get direct from The Wall St Journal itself. But the quid pro quo seems to be that while general news is surfaced in a straightforward manner, the more valuable business news is “buried” within the app and requires searching to find it. It’s also worth noting that, like The Financial Times (which is not part of Apple News+), The Wall St Journal’s subscription base is heavily skewed towards corporate accounts and those for whom it’s necessary to read the paper. For the Journal there is less at risk. The other key general news title is The Los Angeles Times. They probably also felt there was less of a risk, since they haven’t got as strong subscriber bases as either The Times or The Post. A key challenge for publishers with existing digital or print subscription bases is the concern that those subscribers will switch to Apple’s product. The publishers end up with less money, and lose a direct relationship with the readers. That’s a double loss to those businesses. Frederic Filloux spelt it out in this week’s Monday Note, headlined: Apple News+ could lead to a massive value destruction for the magazine industry. His topline calculations suggest that the US magazine industry will lose 50% of its revenue per reader under this model. He models out what a hypothetical reader to a range of highbrow titles like The New Yorker and The Atlantic might pay, suggesting the value destruction could be as high as 88% for The New Yorker. Now you could certainly argue that the rate card subscription fees he bases his calculations on are unrealistic – a savvy magazine subscriber has always tried to keep on top of special offers. But the overarching thesis seems sound. Indeed, it’s hard to truly understand the thinking in some of these big ticket titles being part of Apple’s offering. One side effect of all of this has been the unedifying sight of digital editors of some titles, very publicly explaining why their existing subscribers shouldn’t shift over to Apple. This is a really confusing situation. On the one hand you have Apple saying: We’ve got all these great publications on our platform for just $10 a month. It’s fantastic value! But on the other hand you have the publishers saying: Apple actually only delivers a subset of our full offering. For the complete experience you should really subscribe directly with us! What on earth is a reader meant to make of those completely conflicting messages? Especially once Apple really cranks up its marketing for this new product, potentially reaching a much wider audience. In a Twitter thread, The New Yorker’s Michael Luo spelt out all the things that direct subscribers get that Apple News+ subscribers won’t. These include additional articles that don’t appear in the print magazine, as well as newsletters, crosswords and more immersive experiences. Josh Constine of Techcrunch, which itself is participating in Apple News+ by including their subscribers only offering, wrote a detailed piece explaining the serious implications for publishers. This too in spite of the fact that his title’s offerings are included. But they definitely are losing any kind of direct connection with their readers, including valuable data that those relationships bring with them. 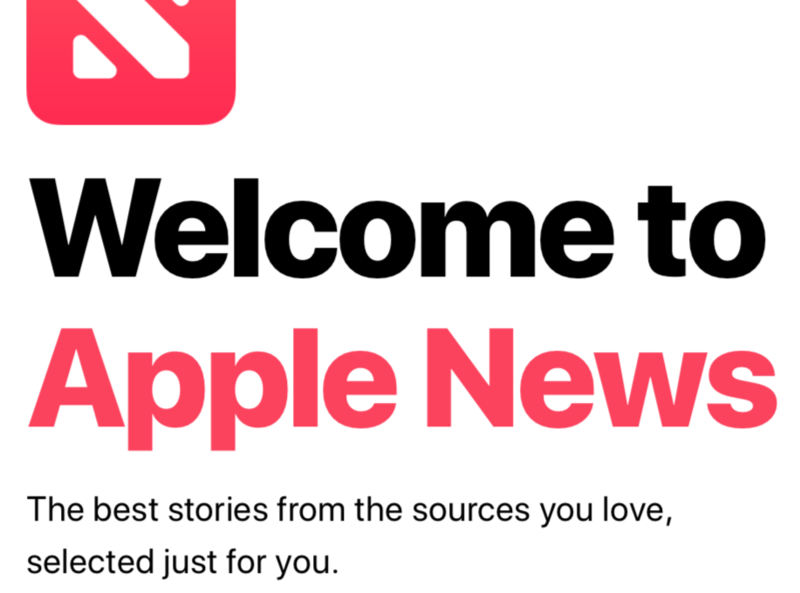 Initially, Apple News+ is only available in the US and Canada, although Apple says that it’s coming later this year to both Australia and the UK. I assume that right now they’re attempting to get local partners on board for those launches. If I was a publisher in the UK right now, I’d be thinking very carefully before I made the jump. Ideally, I’d want to examine what happens in the US, although the full picture there won’t emerge for several months. Would the FT go in? I strongly doubt it – they’ve just announced 1m paid-for subscriptions. Ditto The Times who have worked hard on their subscription business. The Guardian has a different model again, relying on reader subscriptions if not raising a paywall. As the paper is on the verge of profitability, doing anything to endanger their current model seems unlikely. That really leaves The Daily Telegraph, a paper I can absolutely see going in. Their subscription model isn’t as developed as its peers and they’re losing print readers hand over fist. This could be a last gasp for them. Globally, it’s also always worth keeping in mind that most of the world is not dominated by iOS. For all the talk of a billion iOS devices, 85% of all smart phones in use are Android. Indeed, one side effect of the Texture takeover is that the old service is now being shuttered, and existing subscribers who only use Android devices are being left out in the cold. 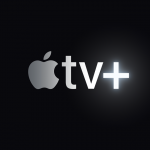 Apple could easily create an Android application – they did so for Apple Music, and they’re working with other platforms for Apple TV+ – but they’ve made no mention of that so far with Apple News+. In territories beyond the US, iOS penetration is lower than it is there. It’s still high in both the Australia and the UK, but as you move beyond those places, penetration falls away. ‘Apple-only’ can’t be a long term strategy if they want to grow this application beyond their core markets. Against the background to all of this is the wider existential threat to the print publishing industry. Newspaper and magazine print sales have fallen over time. While some titles have, and will continue to successfully evolve their business into digital offerings – often subscription funded – others will die on the vine. The most obvious way to see this is to look at your local newsagent – probably now a convenience store as much as it is, or was, a newsagent. Once upon a time, a high proportion of these shops would have been given over to selling magazines – from comics on the bottom shelf to adult titles on the top shelf, and everything else in between. Over the years, the shelf space in shops has shrunk and fewer titles are carried. Readers of both the top and bottom shelves have gone online. Good newsagents carrying a substantial range still exist, but beyond newspapers and a few key titles, many magazines have effectively been “delisted” in these shops. Even in places like train stations, where a travellers are looking for ways to kill time on their journeys, the coming of smartphones, bringing iPlayer, Netflix, podcasts and games, has seen the print media shelves diminish. A mainline station branch of WH Smith has significantly fewer shelf metres devoted to print compared to the past, and more to buying Bluetooth headphones or convenience foods. While publishers have improved their subscription numbers to get around this, without a high street presence, new readers will never discover their titles. Many publishers working with Apple will perhaps hope that Apple News+ will deliver some conversion down the line. But that doesn’t really follow, since Apple News+ subscribers will feel that they’re already getting these titles. And of course, as outlined above, it’s disastrous for existing subscribers to switch to the Apple product. When you think about the egregious share of revenue that Apple is taking, the revenue damage to existing subscriptions being cancelled in exchange for Apple’s cheaper offering, and the lack of any kind of direct connection with titles’ readers, it’s hard to understand why anyone would want to be in business on Apple with this. [Update] Shortly after hitting publish on this piece, I read this New York Times story which says that 200,000 people signed up in the first 48 hours after launch – more than Texture ever had at its peak. That’s a great start, and it’s $12m dollars to share out (based on a 50% Apple take) for the first year. For magazine readers, Apple News+ is undoubtedly a great deal. The question is whether that new revenue (unfairly pro-rata’d to $40,000 a title based on 300 titles) make more money through Apple than they lose from current subscribers.